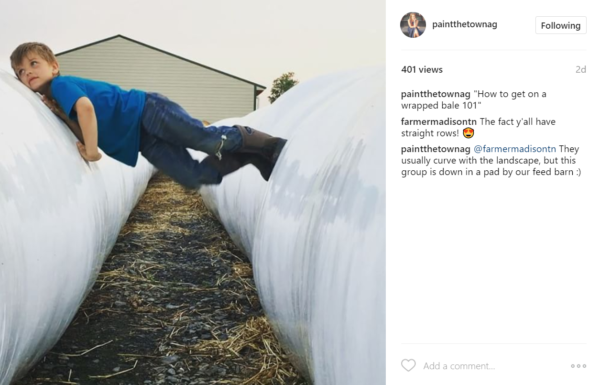 Top 18 Farmers Sharing Their Passion & Farm Photos on Instagram - JP loves LIFE! When folks ask about the social media channel that I enjoy the most, I tell them Instagram (if we aren’t already connected, I’m JPlovesCOTTON and as a sample, here’s a photo I took recently). I mean, afterall, I got my first job to fund my photography habit (I have never stopped buying cameras either! It is so easy for me to spend time in the app, bouncing around looking at this and that whether I have photos to share or not. There are some of the accounts that I see time and time again and I always find myself liking the photos. Lots of the accounts I love are accounts everyone puts on their top lists… I mean who doesn’t love NatGeo & thePhotoSociety? And I’ve seen several people who have done great list of my blogging friends who rock Instagram– I still remember the list LaShawn did on black moms rocking Instagrammers. I couldn’t possibly list all the accounts I enjoy, but maybe I have insight into some of the farmers who are crushing Instagram. These are the top accounts I follow. The men, women, children who care for the land, animals and the crops that will one day be on our plates. Let me put a disclaimer/reminder here… I met a few of these farmers through my work at Monsanto and some of them buy some seed or other products from my employer. Lots of them choose to buy from competitors too. I’m picking this list based on the accounts I personally enjoy because they who me the origins of our food and the faces who help produce it! 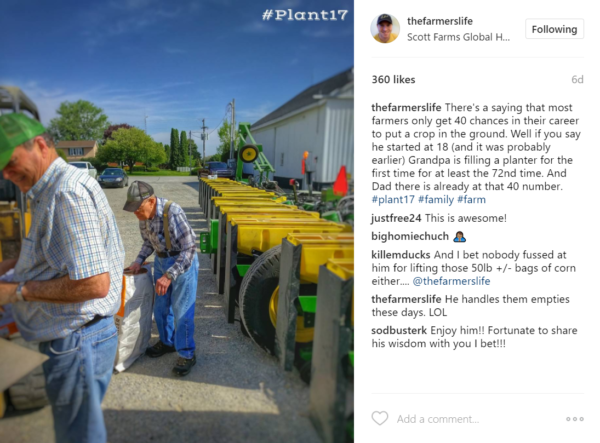 Here’s my list of eighteen farmers you should follow on Instagram. I am not ranking them… just counting as I go! And I let my computer put them in alphabetical order for me! 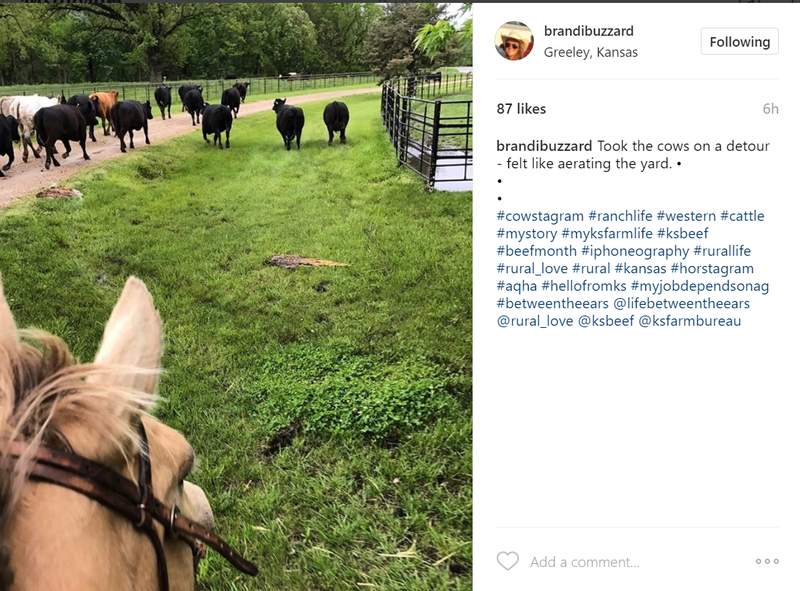 Brandi Buzzard Frobose is building her new family on a ranch in Kansas. She and her husband have been so excited about finally getting their own place and you feel that passion in her photos. You also will enjoy seeing what her baby girl is up too…. there is always something happening and it frequently pops up on Brandi’s Instagram. Jenny Burgess has a unique eye on the farm, that may be because she and her husband Geoff are the first generation in their family to have a farm! 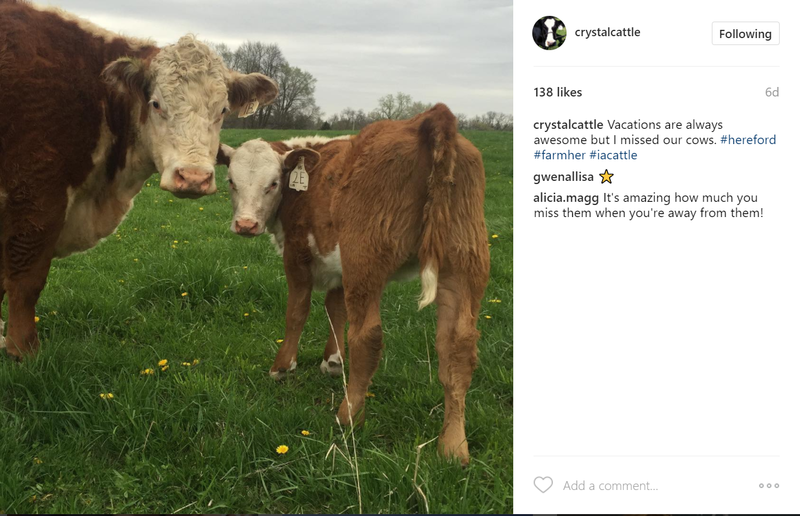 She shares the views from the tractor and her spot as mom all on the Burgess Hill Farms Instagram. A woman and her cattle… Crystal Blin has long shared the passion for the animals she raises through her Crystal Cattle profiles. Living in Iowa isn’t all about beef though, she also shares her love of turquiose, jewelry and more in the stream. If you want to see what it is like to be planting and harvesting almost all year long, check out Jay Hill’s hilljay45 Instagram account. 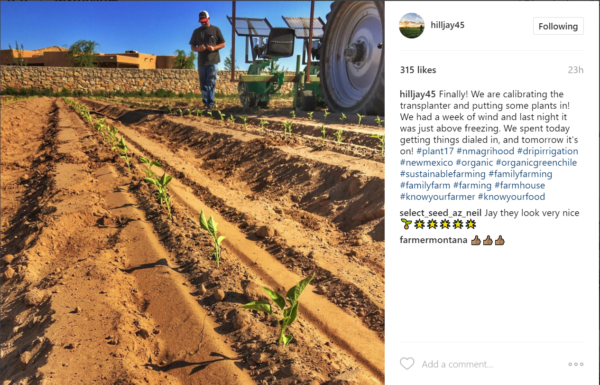 Since Jay lives in southern New Mexico, he can grow crops all year long. Add to that he has a wide range of crops — onions, carrots, melons, peppers, cotton and more! 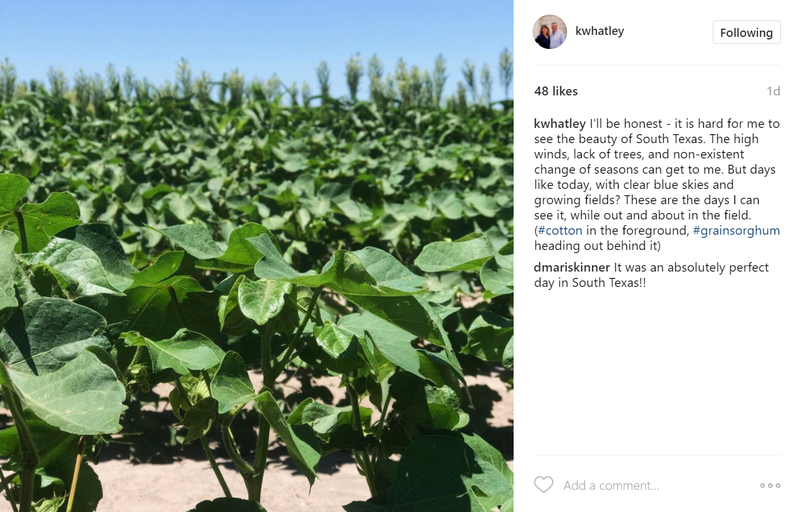 Watching the crops and kids grow in Kelly Whatley’s Instagram account has been a past-time for years! They are among the first people to plant cotton each year with their South Texas farm. She has an incredible eye for photography and turns the camera on her family frequently. 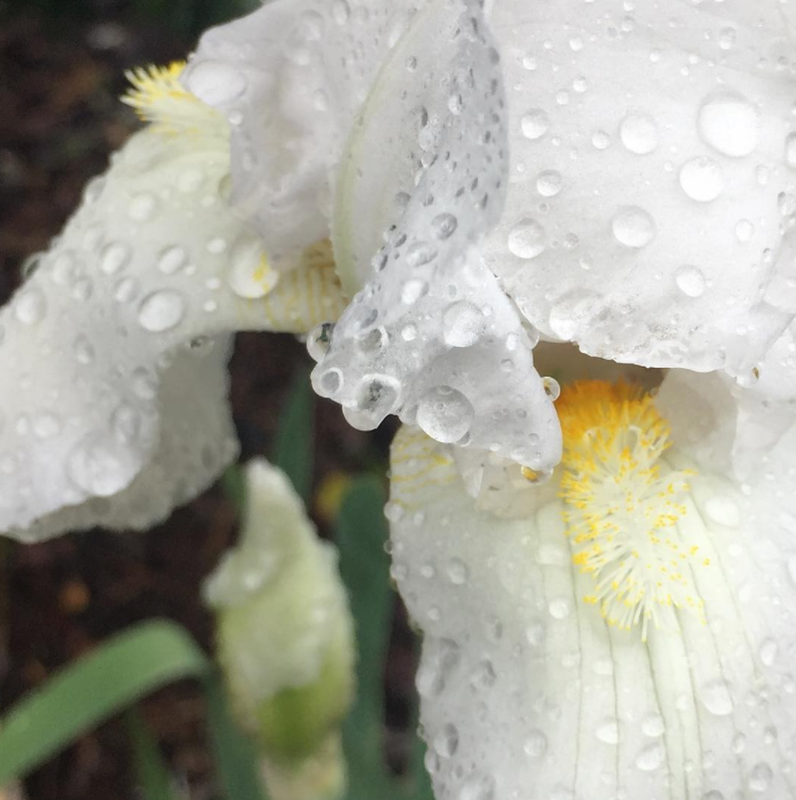 Her sons (one of whom is now in college & another is soon too) have grown up right in front of my eyes…. they even helped with the Flat Stanley project forever ago! 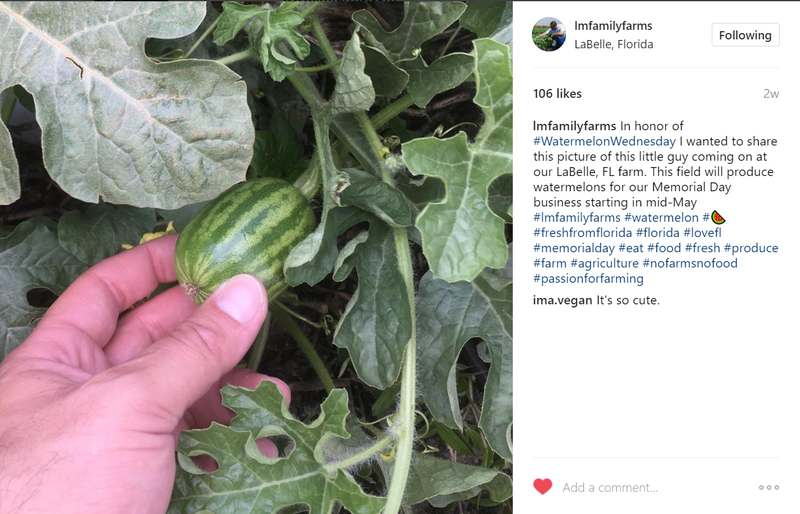 Seeing some of the unique sights of lots of veggies growing is what Adam Lytch and coworkers at L & M Family Farms in the southeastern U.S. Things like the very early start of a watermelon wow me, sometimes it is through video too! Grass seed farmers aren’t always the first kind of farmer to come to mind, and yet, southern Oregon has lots of grass seed growing there. And that’s part of Marie Bowers Stagg’s Instagram feed. 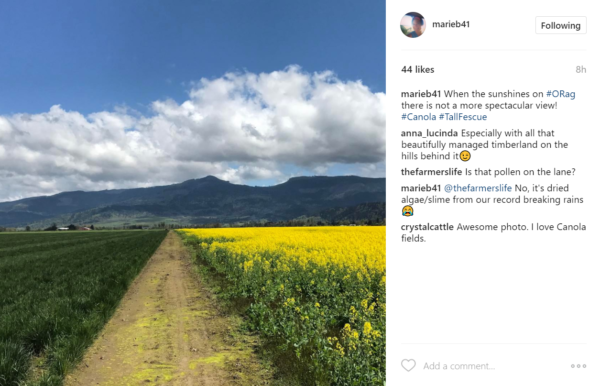 Look at those gorgeous canola blooms though! You also catch more than a normal amount of bulldogs! 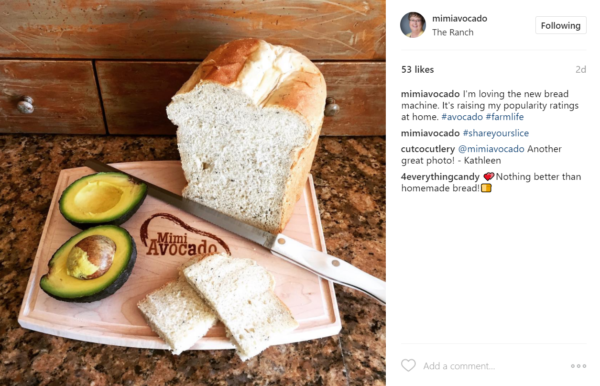 I’m pretty certain that my visit to Mimi’s avocado farm was the single most jealousy inspiring trip I’ve ever taken! The ranch just outside of San Diego is where Mimi’s family has been growing various varieties of avocado’s for the past few decades. The photos of the farm and food light up the instagram feed and make me hungry! Running a farm of chicks is no doubt interesting, but seeing it through the experiences of young boys… that makes me smile routinely when I check Lauren Arbogast’s paintthetownag feed! Checking on the chickens, playing on the feed being saved for horses and cows or dealing with the weather… they are all there! Since moving to the North Dakota prairie from California years ago, Jenny Dewey Rohrich has worked to capture the images of the prairies she now calls home. Sunsets are a staple but you can’t help but look forward to sunflower season! And you get lots of food & family too — in fact the family is adding a little one soon! Wyoming ranch life is a different world for most of us, but Carol Burton Greet lets all of us take a peek at what that is like with her Instagram. Hard to believe she’s still getting snow in May, but there has also been some great weather coming over the mountains! 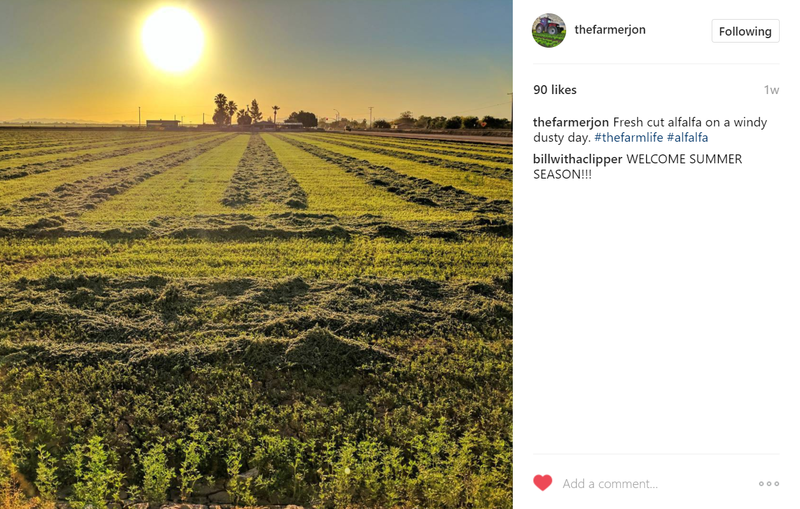 Jon Dinsmore grows vegetables — including a lot of leafy greens — and several other crops including alfalfa hay near Yuma, Arizona. Between the farm and his family of happy faces, the Instagram account is one that brings smiles as well as an understand of where our food comes from. I jokingly told a friend recently that Brian Scott has the perfect recipe for great photos — incredibly cute subjects! Both his kids and his grandpa! It’s only a bit of a joke though as family photos ALWAYS are a hit on the Farmer’s Life channels. I mean check out grandpa helping with planting this past week! Dairy farms seem to be so incredibly photogenic, and that’s definitely the case with Krista Stauffer behind the lens! 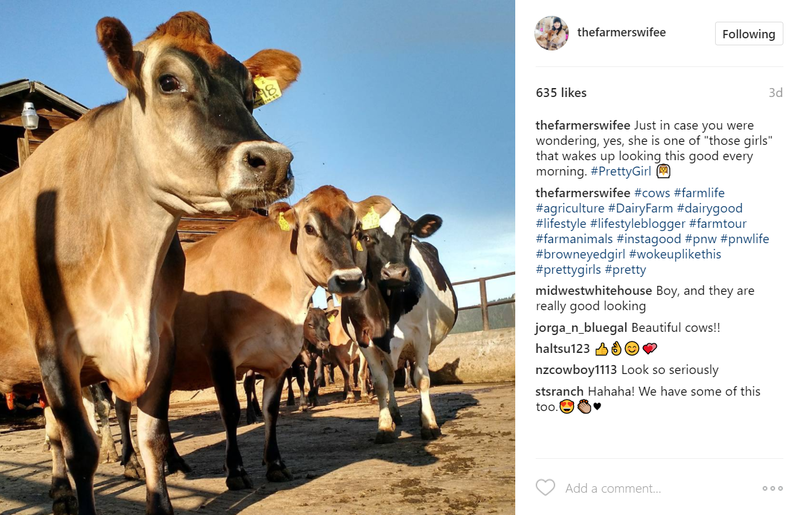 The cows are curious and almost always willing to share a selfie or pose for a photo on this small Eastern Washington farm. The account’s name tells you what you need to know… if you would enjoy seeing into the world of a South Dakota cowgirl, Jenn has the Instagram feed for you! 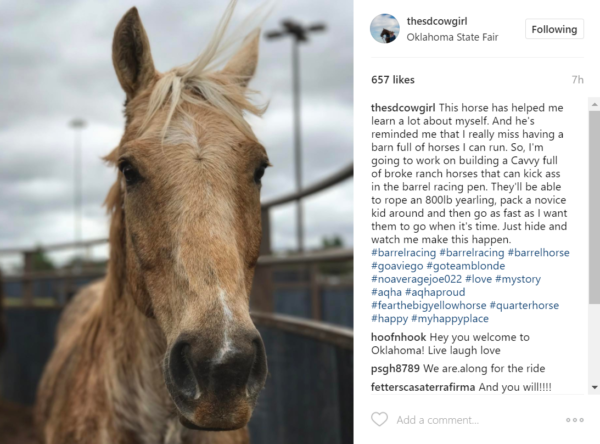 The photos of horses and wide open spaces give you a sense of freedom on the range. 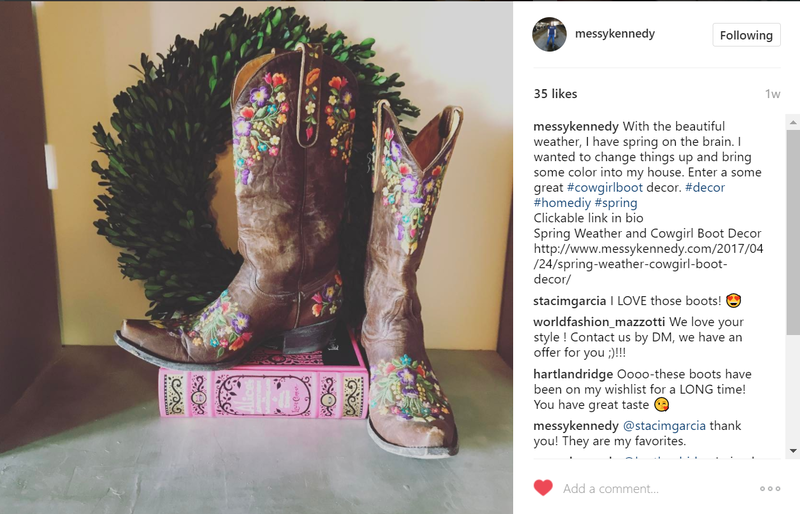 Love it when she shares from a rodeo too! 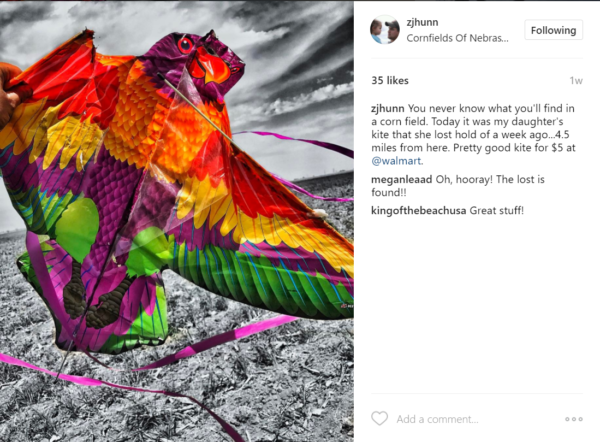 The eye of an artist and musician sharing photos of the farm and his family means Zach Hunnicutt frequently sees the Nebraska plains in a bit of a different light. The colors can be brilliant like the kite that showed up after missing for a while or more muted earthen tones of soil. Doing a list like this, I’m sure I missed some great photographers and great farms. Rather than keep this going FOREVER, I decided to risk ridicule by crowd-sourcing any of those holes. Who do you think I should have put on this list? Though not an individual farmer @SacValley CA shares the story of rural like and multiple farmers. I made myself stay focused on individual farms…. may have to do another post on ag organizations, collaborations, etc. Cause there are some good ones! Please do! 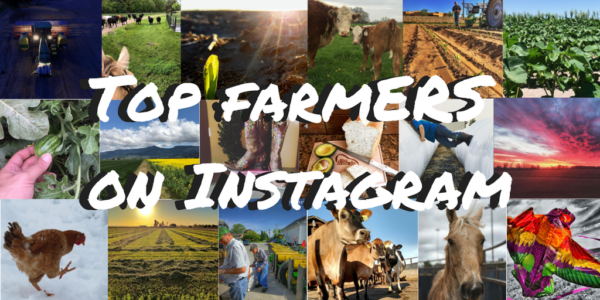 Our Instagram, TN Magic Moments, is focused on celebrating agriculture in Tennessee. We would love to see other organizations that are dedicated to the mission of highlighting the impact of agriculture! There is no mAGic without ag! Brooke @b.sprung is one of my favorites! Such good photos 🙂 Thanks for pulling his list Janice – I see some accounts I need to follow! If you do farming organizations, check out NOFA-NY! This is a whole new world of social media that I never would have thought existed. The photos are gorgeous! So much better than silly selfies taken in malls and on city streets. Thanks for sharing. So glad you enjoyed the photos! I love seeing how the food is grown straight from the people doing the work! So much better than expecting media or others to get it right! Thanks! I love bison, have posted aobut them before too! I thought Instagram was not something I wished to devote time to – until I ran into this blog post. Wow! 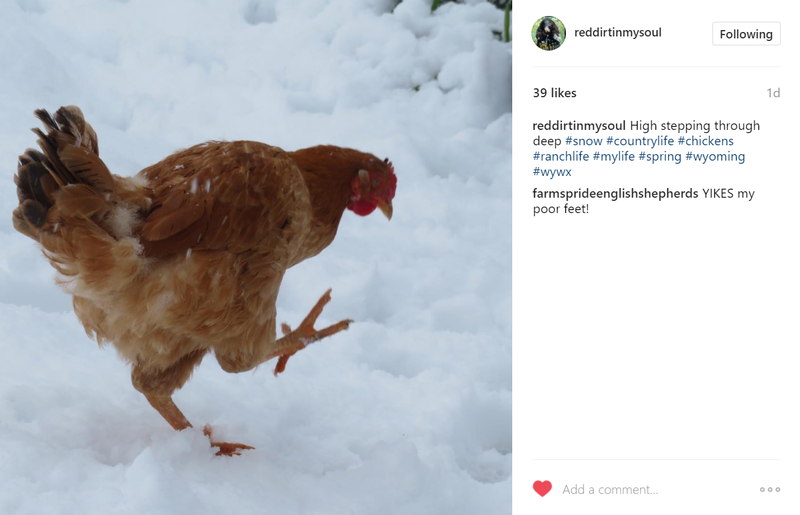 They make me miss my chickens (last raised 31 years ago) and there are some stunning photos here. I just love it! Lots of people are on it just to gawk at the pretty photos…. I just love farms! Looks like what is right outside of town! I love that this movement is happening. Wouldn’t it be something if people started moving out of urban areas and back on farms? Thanks for a great post. Tweeted. Some in my family have… I’m a city girl. I work in agriculture and have lived out in the boonies but I have to confess, I’m better at other things than growing food! My container garden is a very real reminder that I would starve if I had to grow my own food! LOL! These are all great advocates! I would also add to this list Modern Day Farm Chick, Annaliese Wegner (@modfarmchick)…she does a great job telling the story of their dairy farm in Wisconsin. Thanks for the suggestion! Will check her out.